I’ve been in my new house now about six weeks. And I’ll admit, I’m already getting a wee bit tired of the ol’ builder’s beige walls. They are kind of pink, in some light. Not my favorite. Don’t get me wrong! I’m CONTENT! I’m not doing any painting in the near future. But I would love a little warmer, more homey feel. This might call for a little creative fabric and fool the eye tricks to warm it all up. That I will do, I need to make it feel like ME. I just don’t want to get on scaffolding to paint our walls and ceilings. Here is one corner of our living room (before we moved in, we don’t even have all of our furniture here yet from our old house so no use taking any “after” pictures). I do love all the windows, but I am still thinking about what kind of window treatments I could do! Tricky, non? I love a good challenge. And I think I just might have a solution I can live with. We’ll see! I really like rooms that are more creamy yellowy, but now I have brownie-pink. And, you know, I am going to embrace it. Right now I am spending my time getting to know the new people we are meeting up here in our new city (instead of being too busy trying to get all fancy with my repainting just yet). I’ve shown you the room below before, I love how creamy and pretty it looks. As I mentioned awhile back, we chose a new house this time so we didn’t have to fix up our house right away. So even though I seem to be a master of finding reasons to have to make some changes (it is just how I am, I can’t help it! ), I really am trying to focus more on getting to know our community and helping the new church to get off the ground. We’ve had several people over for dinner already, hosted a dessert and plan to have people over more often and worry about big projects “someday.” I’m enjoying my life here, in spite of my builder beige walls. Who knew? I might go crazy one of these days though and re-do a whole room in a day. For any one who has been at The Inspired Room for awhile (anyone? ), like for a year, do you remember magazine cover-itis? It was one of my very first blog posts where I revealed I am a recovering addict. I still suffer from it sometimes (ha, clearly) but I think I am SO MUCH better than I ever was before! Oh, just one last thing. Want to know a pretty yellow paint color? Restrained Gold by Sherwin Williams. It is a pretty yellow, but not overwhelming. In case you are painting something. I’m not, of course. I must be getting spring fever. Are you all ready for some Spring Fluffing? I am. 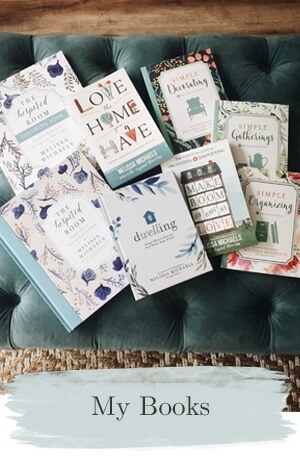 Let’s do our Spring Nesting party a little early this year, shall we? When shall we celebrate spring? As much as I was looking forward to our Fall Nesting party last fall (oh how I looked forward to being all cozy!! ), I’m now ready for some SUNSHINE. Are you? I’ll have to check out that particular shade of yellow. Maybe you’ll find the time to do a small room…like a powder room. I know, one room leads to another…and then another. saying…”I know, I know” as I read this post. it is new and wonderful! Love the butter colored bathroom cabinet! As usual, the photos are inspiring. I’m anxious to see what you do with the window in your new house. Spring…yes, yes!~ I’m ready. I got my spring type stuff down yesterday and spread it out in the guest room. I’m getting ready to brighten up this house! Those prints in the green and white House Beautiful photo, are calling to me. I might have to do some exploring! One of my MSN Decorating Group friends used Restrained Gold. It is fabulous! I painted my house a taupe color and discovered it is pinkish in some lights and it’s been driving me insane. I’m going for a yellow when I repaint (very soon). I’m going to check out the SW color you mentioned. The photos of the rooms you showed are all lovely. I’m nervous about yellow. My kitchen cabinets are unstained maple and they’re aging to YELLOW! I don’t find them attractive at all…so I assumed I hated yellow but yet I love the yellow in these photos. Do you have to cover those windows? They’re so lovely! Those rooms speak to me! I think we are kindred spirits. I have Restrained Gold in my dining room. My living room is Sherwin Williams Ivorie (on the same card – a shade or two down from Restrained Gold). I LOVE it! Both colors are gorgeous with my white crown mouldings. Enjoy your new home. 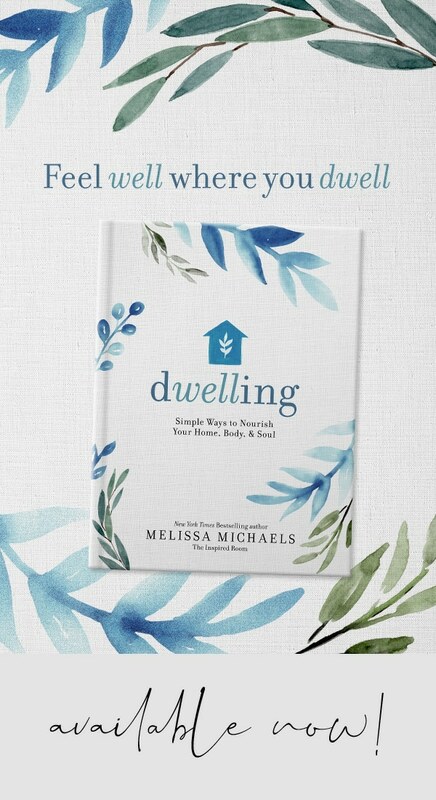 I love that you are showing hospitality even though your house isn’t yet what you want it to be. I have a hard time doing that myself. I was happy to see your note. I am struggling with paint colors and tomorrow my 18 foot ceil faimly room will be restrained gold. I was going to get mannered but thought it may be to dark. Did you pain the enite dinning room restrained gold? I am painting the foyer blone and the living room and dinning room restrained gold. we are moving into a condo next year. right now it’s a hole in the ground with a crane in it but it’s coming along. i have never been a white/cream person and i think all the time about the paint. hello, i am slightly shallow…lol. i am ready to take the leap and i have been bookmarking these photos. I have Restrained Gold in my entryway… it’s beautiful. You don’t like your new wall color because it is “fleshy”….. I know exactly the color tone. It does make your skin tone look good though. We faux finished a bridal salon and the designer asked for a flesh tone neutral on the walls so the soon to be brides skin would look good! Your windows are so nice…I can’t imagine what you’ll do with them. You know me, I’d leave them alone as they’re like a changing canvas. You have chosen the better part, “Mary” to help with a greater work. May it all go exceedingly well! Vees inspiring blog post..Celebrate Winter? I’m a big fan of yellow walls, too. Usually I don’t even notice the yellow, per se, but more the warmth of the room. You sound like me. We’ve been in our house 6 mths now (not a new home) but still has realtor beige walls that look pink to me. I’ve got paint swatches taped on the wall right now trying to decide what to do. I am a fan of soft, golden yellow as well. And am using it quite a bit in our new home. We moved into a large, open airy home in Texas and I felt the immediate need to warm it up without painting (deep beige color throughout). I saw in pics that the previous owner had alot of yellow on the walls and she apparently was advised by the realtor to paint everything neutral beige. I was so disappointed. I won’t be painting though. Like you said, the use of fabric and accents work wonders to warm things up. So happy to have found your blog (via Lisa—celebrate creativity). Oh. I too suffer from this nasty brain-washing disease. Slowly recovering, thanks to plain-old REALITY! Now, where is that trust fund I was banking on????? I love decorating with yellow! My Mom did her kitchen in yellow and white, and it has big windows that look out into the backyard, and it is so lovely. Yellow is a great color to put in a room that will get some sun, and it just cheers you up. Gorgeous selection! The fourth image is exactly what I proposed to my mother for an unused room in her house a few years ago, I’m sending that picture her way…how can she resist?! I know that disease well, my friend…..your windows are so pretty, and I look forward to seeing what you will do. It sounds like your priorities are set right, and I understand the itch to begin making your home your own…….glad you have time to spend getting to know others, though. I love the idea of using some color and yellow is a great one. I really love that yellow cabinet with the glass doors. I want one of those. BTW – I like the way your windows are trimmed. Cool. 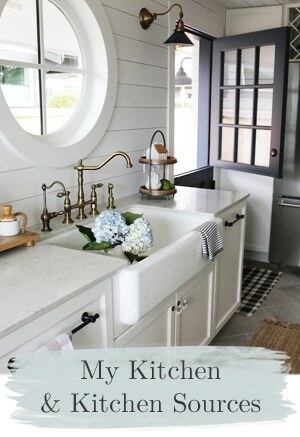 Remodeling Guys inspiring blog post..Bathroom Remodeling: A Great Place to Start! I think we have the same browny-pink builder’s paint walls. :D We chose a new house this time, too, and have been here 10 months. 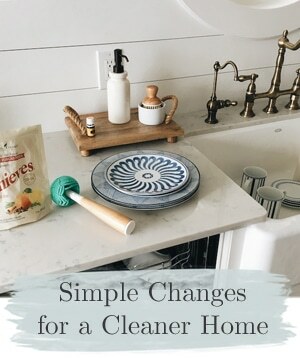 It is SO much more relaxing to focus on fixing and changing the stuff you WANT to change vs. the stuff you HAVE to change, like in our old house…don’t ya think? I’m all for an early Spring party! I spent yesterday afternoon pulling weeds, so it’s definitely that time here in Central Texas – 80 degrees yesterday! I just love Spring. Lindsays inspiring blog post..What’s Cookin’ in the Kitchen? Yes, ready for spring here! So much gloom and rain lately! I guess that mean spring is on it’s way though. Let’s let in some sunshine! Lazy Mom Leslies inspiring blog post..The Pantry Pit! Sandys inspiring blog post..Creativity & Learning Combined! Holy cow! You just named one of my favorite colors for paint. I helped my mom with a quick redo of her living room last fall. She had left overs for furniture and sheets for curtains at her new place, so we painted! It looks even better these days with actual furniture and some purple and gold accents. I linked to photos of before and after Restrained Gold! I have been eyeing all the yellows and greens out there too. I use Ben Moore’s Concord Ivory, it is creamy and buttery without being bold. I think we will all be cured from the magazine coveritis as they seem to be folding daily! Can’t wait to see what you decide to do with your new home! I looked up Restrained Gold and it looks brown, isn’t it yellow? Colors will always look different in your room than on the sample so it is worth the effort to try them out in your home. The card that has Restrained Gold and Ivoire and other yellows on it are all very pretty yellows! Restrained Gold is darker but the other ones are very pretty if you want lighter or more buttery tones. I’m glad you are enjoying your new home. I have lived in my current house for almost 2 years. The only room I have painted is my oldest daughters room. I will eventually get around to painting all the other rooms. I’m busy gathering great ideas from all my favorite blogs. Our bedroom in our last house was a creamy butter yellow and I loved it. The whole room always felt like sunshine… So bright, yet soft at the same time. I can’t wait for spring… I’m starting seedlings next week. Don’t forget there are rarely people on those magazine covers. We built our new house, and over a year after moving in, I’m finally starting to decorate it! I just wasn’t up for putting any holes in the new walls yet. We had a choice between 2 beigey colors – the pinkish version it appears you have, and a more golden tone. We took the golden one. I kept seeing pink in the other (even though no one else could!). I love yellow walls too, but unfortunately, none of our current furniture would work with yellow walls. I recently painted my kitchen yellow and found the greatest color on the advice of a blogger friend…Restoration Hardware Butter! You should go to their wedsite and check it out! I’m going to check yours out now! I just love how your do your picture groupings. The look so neat and perfect. I enjoy coming over here to see what you have done. Connies inspiring blog post..BARGAIN HUNTING: IS THE GRASS ALWAYS GREENER? I used to love the Yellows and Orange tones, now gone for a calmer look. I love that yellow-and I’m totally ready for spring too. About this time every year I get itchy to paint our orange walls something warm and creamy and light…maybe this year? These rooms are lovely but I was most inspired about your desire to know your neighbors and become part of the community. I know God will bless you for that. We still have so much to do in this old house but have had people in and out since day one and they never seem to see all that need done but just bask in the warmth that our home seems to bring to every guest who has come through our door. Oh I do desire a well decorated, painted, etc home but more than that, a home that speaks the Love of Christ! mary (megardengal)s inspiring blog post..A Valentine for you dear friend! My kitchen and family room are both painted yellow. It’s called Blonde. It looks really good and goes with about any accent color. I’m planning to add blue accents this spring and summer when I find time. Can’t wait to see what you do with those little windows. The molding is so pretty, you could even leave them alone and they would look awesome. I admire your patience, sometimes I think I live to paint….LOL! I just painted my master bedroom AGAIN!!! You can definitely bring out your color in your accessories to punch it up!! Love the use of yellow there–I’ve always thought yellow was a challenging color to implement. Another beautiful color is SW Restrained God and Basic Beige mixed together. It’s unbelievable! is the house beautiful photo from a recent edition or an older edition. I would love to see the rest of this house. let me know the date of this article. LOVE IT!! 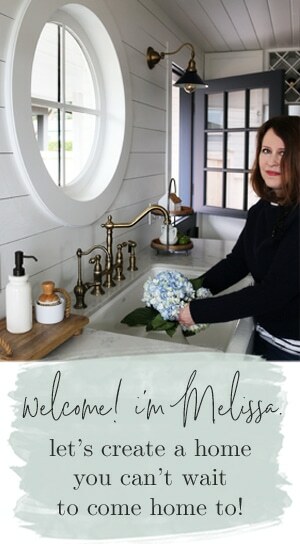 Oh Melissa, I love those cute little windows in your Dining Room! Your house just looks so cute, well from what I gather here any way. Restrained Gold is a VERY commonly used color down here in the South. You can walk into just about every other home and you will see it. It is a very soothing color. Yes, I too am ready for sunshine. I was outside today video taping for my blog about my garden dreams and I was being blown away by 40 mile per hour winds and 35 degrees…Another great soft yellow color is “Rich Creme” by Benjamin Moore. It currently resides in my mudroom and reminds me a lot of the last picture in your post. Lots of p ainting is on my agenda within the next few months hopefully. :) My 11 yo wants yellow bedroom walls and she has white sheets with aqua and lime green polka dots on them put away for the move. Any ideas for a cool yellow to match? I am like you … I love the look of soft yellow. Most of my townhome is painted in that color … except for my room which is pale blue and my son’s room which is bagel/Sherwin Williams. 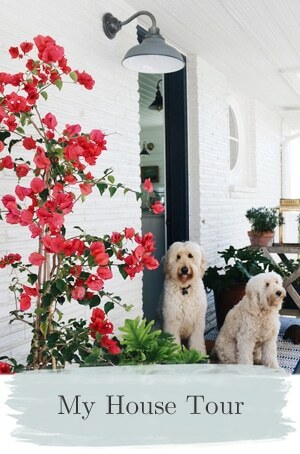 The photo of the sun porch / dining room is divine …. such an inspiration. Helens inspiring blog post..Long Ago ~~ And Far Away ….. I just painted my dining room yellow! I absolutely LOVE it! It’s so cheerful now the the beige is gone! I’m on a roll here – the living room is next! I am so getting Spring fever! Now you have gone and made me want to change EVERYTHING, Melissa. After my last post, I am itching to paint and redo! Great pictures… I look forward to more. BTW, love your windows! My eyes are hurting after Nester’s party. Still haven’t finished looking, but my eyes are working good enough to notice the gorgeous windows. I can relate to both builder’s blah wall colors and magazine coveritis! We have warmed up some of the walls in our house, but our master bedroom is our sad little secret…pale beige walls, no curtains, and in desperate need of new bedding! No magazine cover in there! Maybe someday, huh? You are so wise to focus on getting to know your neighbors…wish I had made more of an effort to do that when we moved in here 3 years ago. It seems too silly to do it now, although I know that is not true. I’m always waiting for that time when all the decorating is done and everything is perfect…funny how that time never comes! Thanks for reminding me to live in the moment! Bless you today! Robins inspiring blog post..Is It Spring Yet? Sure Seems Like It Here! Hi Melissa ~ I have a creamy yellow, more chamois, I guess. I fell in love with it when we built our current home, and people rave about the color when they come visit. Four years later, it’s still very pretty. HOWEVER, I do find myself longing for something even lighter, as it feels a bit too warm in the winter. I’m thinking of a pale, pale, pale gray with ivory trim. I agree with you: yellow is cheerful. And I don’t like to be overwhelmed by it either. Some of the rooms in my home are painted in Cameo White which has the slightest hint of creamy yellow. I really love it. And, yes, let’s celebrate spring early! Since it officially begins on March 21, how about the second week in March, before St. Patrick’s Day? I could not agree with you more! I have a case of “spring fever” as well. I love the days that you wake up and the sky is perfectly clear, a beautiful shade of blue and the birds are singing as you step out and are instantly warmed by the sun. It has been a long winter here in Texas(though, not as bad as some, I am not complaining) but I am ready for some blue skies and SUNSHINE! I love yellow. I redid my craft room and two of the walls are a pale yellow and my entry way is the same yellow just one shade darker. I used to be the queen of painting…even the dog wasn’t safe. Now, I have backed off and stick with colors that are a little more neutral and that allow me to swap out accessories a little more easily. Your new house is beautiful! Oh, I miss my Restrained Gold house … I did use it in Ethan’s room … but will also be living with my taupe walls for quite some time. Ah – magazine cover-itis, I remember it well! It’s what brought me to your blog the first time. Boy, could I relate! M: it makes me a little sad to think you aren’t really loving your wall color. It might sound superficial and it probably is, but I wish you loved it!!! Maybe you should consider repainting one day down the line. I mean, showing us your favorite paint ……. ! AND, your house looks so beautiful – I love the windows. I can’t wait to see you all settled and I’m dying to know what window treatments you have in mind. Do those two small ones need covering? I almost hope not! that looks like a custom size job to me. I’ve loved that yellow Ikea piece of furniture, dresser/buffet/bookcase ever since I saw it! Have fun with your new home and friends! Another fantastic yellow is Montgomery White by Benjamin Moore. It looks cream on the swatch but it’s the most gorgeous, warm, barely yellow on the walls. I’m new to your blog. Love it! Yellow is my new favorite color. I love how calming and serene it is. The best part is it goes with just about everything! We were definitely on the same wave length… Before coming here, I had just posted the yellow bureau on a post that dealt with perking up a room with yellow. It has amazing results, doesn’t it? As always, an inspirational post.